I have had the pleasure of being a training partner and friend with Keisuke Andrew since 2003 when I started Jiu Jitsu. Through this friendship, I have had the opportunity to refine my own techniques based off of the technical progression he has made and shared with me during our training sessions. From earning his blue to his purple to when he first started teaching to his debut in the MMA arena, I have witnessed two constant personal qualities: his pursuit for technical perfection and the ability to demonstrate and explain his techniques with his students and friends. To this day, he remains fearless in challenging his knowledge and technique at the black belt level; always pushing himself to remain sharp. This is why as an instructor of my own academy I continue to train with Keisuke as often as I can. I have been training in Jiu Jitsu for over 10 years and have had the opportunity to train with many natural talents and physically gifted grapplers. If you are looking for an instructor with solid technique and genuine care and passion for his students, Keisuke Andrew will help you reach your Jiu Jitsu or MMA goals with competition tested moves and technique. I've been doing Jiu Jitsu for a couple years now. Coach Keisuke gave me his time and effort to build a strong base for my ground game. Every advise he gives me helps me improve my game more and more. One of the top level Jiu Jitsu practitioners like him are a blessing to have and I am always grateful for his knowledge and respect he brings to the class. Very humble and motivates you to go far with whatever your goal is. I have been studying Brazilian Jiu Jitsu under Keisuke since late 2006. Before I started competing I decided to compete, so I invested in taking private lessons from him. Getting privates lessons definitely sharpened my fundamentals and helped my game evolve. I highly recommend getting private lessons from Keisuke, because he does an excellent job of analyzing your trouble spots, and giving you feed back based on what your natural attributes are. Don't miss out in this opportunity to train with the best Jiu Jitsu instructor in the area at a discounted rate. 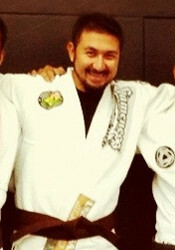 Enso Jiu Jitsu has excellent instructors led by Keisuke Andrew. Keisuke and the instructors provide a safe and respectable place for training Jiu Jitsu. Let me just say that I found a new Jiu Jitsu life at Enso. Come join us. This is a fantastic team, taught by an experienced and dedicated coach Keisuke Andrew. Weather you are looking for a solid workout, or looking to figure out what this jiu jitsu game is all about, or you have a desire to heighten your game to take it to new level's, this is a great place for you to be. I am very pleased and optimistic for the future for myself and my team. Enso Jiu Jitsu is where I will be. My fifteen year old son trains here with a dedicated group of young men and adults. Everyone treats him with great respect. He isn't treated differently for being a kid. At the same time, everyone works hard and its a very safe environment to train in. Hard, hard work but great focus. People aren't just goofing off and acting violent. Everyone works hard at their training while still having fun. I have seen and headr nothing but supportive and helpful comments from all the Jiu Jitsu wrestlers and fighters. Keisuke Andrews is a wonderful teacher. 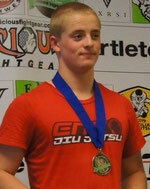 After only two and a half short weeks of training, my son was able to place third in a local Jiu Jitsu tournament. Many students say they have learned more in a day with Kesiuke than in months with other teachers. He is always focused, present, and engaged. The study is serious but everyone has a great time. Its a great way to balance work/school and play. I recommend it 100 percent to local families s and grown-ups, too. Like many people, when I started training Jiu Jitsu my enthusiasm outpaced my knowledge. With tournament season around the corner I wanted private lessons to answer some questions that could not be addressed in a large class. Keisuke stood out as a technical and experienced coach that could teach in a way that was easily digestible. He was a natural fit and helped me start developing the fundamentals of JiuJitsu. Keisuke not only answered positional offensive and defensive questions, he showed how the answers fit into the web of action and reaction that is Jiu Jitsu. As a beginner, what I most appreciated was that Keisuke did not stifle or hold me back from learning positions or attacks that some consider more advanced. Instead, I was clearly taught how to more safely and more effectively apply those techniques. Keisuke's knowledge, positivity, and realistic attitude jump started my learning process and will continue to influence how I train and learn JiuJitsu in the future. The instruction you can get from Keisuke Andrew is impeccable. Even in a class with 15 other students, it is not hard to feel like Keisuke’s instruction is aimed directly at you. During a private lesson, his patience and attention to detail will help you to fill any holes in your game that you may or may not notice. I've walked away from every private lesson I've ever had with Keisuke knowing that my game will show major improvements thanks to that one-on-one time. It's definitely money well spent, and I plan on getting private training from him as often as possible. I have been in sports all my life and have trained in martial arts since 3rd grade. I am 36 now and honestly out of all the coaches and trainers I ever had you were my favorite. God has blessed you with a natural ability to teach and coach and it's inspiring to watch. I actually learned more than martial arts from you. I found myself picking up some of the graceful ways you teach and using them as I train people in ministry. If you want to learn elite level Brazilian Jiu Jitsu, look no further. Keisuke is an absolute phenom on the mat, I’ve been involved in MMA for the better part of a decade, and have rolled with hundreds of practitioners, including scores of black belts, and Keisuke is the most efficient, most patient teacher of the art that I have met so far. This guy uses body mechanics in a way that will blow your mind. Every piece of his game is a highly refined work of art, and all of those pieces fit together like an elaborate, beautiful puzzle. He will roll with you 1 on 1 and give you specific, accurate information on how to improve your game, details down to the inch, literally, it's unreal. After training at, and looking at, a few other local area gyms I decided to give Enso Jiu Jitsu a try. I am new to grappling and was pretty intimidated by some of the other gyms and their class structures. Keisuke Andrew, the other instructors and members welcomed me with open arms. I wasn't pressured into sparring right away and was able to gain my confidence at my pace. The atmosphere at the gym is one that empowers learning with everyone helping each other out. Keisuke is a wonderful instructor and is great at finding the subtle changes in your game that really make a difference. I highly recommend Enso Jiu Jitsu to those just starting out or seasoned practitioners who are looking for a way to enhance their game. Keisuke is phenomenal at BJJ and coaching. His private lessons are an amazing value as he really takes the time to teach you the intricacies of each move and ensure you fully understand its application. I highly recommend him. Not only do I think highly of Keisuke's Jiu Jitsu teachings, Keisuke is a guide in my life-long martial arts learning in general. 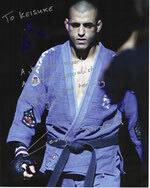 He will use any discipline and style to find the best solution to your BJJ problem and learning. The more specific question you have, the better because Keisuke is an encyclopedia full of knowledge. Watching Keisuke as a practitioner of Jiu Jitsu is inspirational and I have been fortunate to learn from his experience. He has helped improve my understanding of grappling by teaching me that it is not the gross movement or size that matters but the infinitely small details of each step. Enso is not only a great place for anyone to better their game but also for people looking to find out what jiu-jitsu is all about. Prior to joining Enso, I had trained for a few years but had felt my game and my love for jiu-jitsu grow a little stagnant. Keisuke reignited my passion for the sport/art and I'm constantly amazed at how well he can break down, disseminate and teach his dynamic and frankly amazing technique and game. I leave each class excited and with a few more tools to use. Whether your looking to step up your game or been wanting to see what jiu-jitsu is all about, Enso is the place! Since training at Enso my ground game has improved rapidly. I've trained at several different gyms that have top level competitors, coaches, and athletes and I have no problem saying that Keisuke is one of the top blackbelts and coaches in the Northwest and probably one of the friendliest coaches as well. Keisuke and all the coaches at Enso are constantly helping me analyze and improve aspects of my game and I can see it paying off. One thing that sets Enso apart is good technique, sure you'll get a good workout but the primary focus is on good technique and mastering the little details that will take your game to the next level. If you want to train with a friendly, fun, hardworking, group of people who are interested in improving themselves and their training partners and generally love the art of jiujitsu then come check out Enso. I stumbled across Enso Jiu Jitsu by pure luck last spring. Since training here, Keisuke, his team of coaches and the members of Enso have turned Jiu Jitsu and MMA from a past time and workout to a passion for me. Not a class goes by when I don't feel like I've learned a tremendous amount about the martial arts, myself and life. At Enso you are only required to be respectful and try your best. If you would only like to study the art and get into shape then you may participate to your own comfort level. If you would like to compete in Jiu Jitsu and/or MMA then there is a place here for you as well! So stop by to check it out and become a valuable part of a fast growing and highly talented team at Enso Jiu Jitsu! If you would like to send us your review, please email it to info@ensojj.com. Thank you!